Multiple industries are turning to mobile solutions to automate and transform many of their business processes for a lucrative return on investment. Using mobile solutions, field workers can efficiently capture accurate data and submit the results in real time to key stakeholders and back-office or cloud services. Often for the first time, management gains concise visibility into field operations, enabling them to track, analyze and continuously improve business processes. These solutions are empowering leading oil and gas enterprises to more effectively manage valuable assets throughout the entire lifecycle. 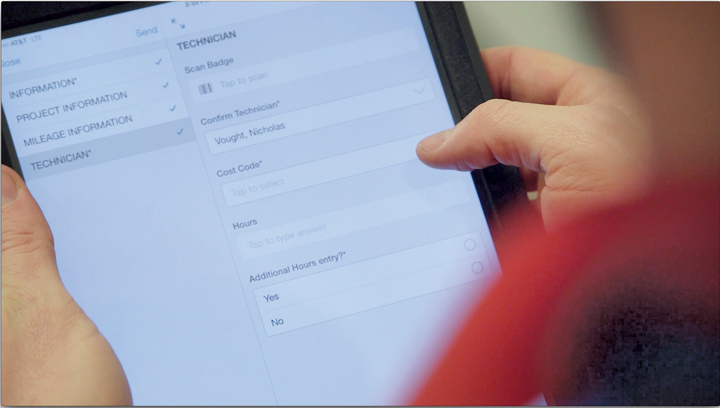 Your field teams capture critical asset data whenever they perform asset installations, maintenance, or service, but a reliance on manual processes for data collection, such as paper-based forms and workflows or ad hoc email and voice communications, makes it difficult to drive effective asset management. Paper forms are vulnerable to errors and illegible handwriting. Critical inspection data may be inaccurate or not included at all. After the data has been collected, the forms have to be faxed or physically transported to the office, delaying follow-up actions to site visits. Once the forms reach the office, administrative staff must manually transcribe and process the data — a time-consuming and error-prone process. Storing forms in a filing cabinet can mean delays accessing data to demonstrate compliance in response to service and regulatory enquiries, claims, litigation or audits — not to mention the cost of storage space and the clerical admin effort. Paper-based processes also leave you with few options to aggregate and analyze historical data. These antiquated workflows provide little visibility into the performance and condition of field assets and offer no easy way to track whether quality assurance and regulatory compliance standards are being followed during installations. This can mean a slow response to servicing a corroded pipeline or correcting non-compliant teams. Mobile solutions with automated workflow, document management and analytics circumvent the pitfalls of manual processes, allowing you to better manage assets throughout the entire lifecycle. These solutions heighten the quality and accuracy of captured data. 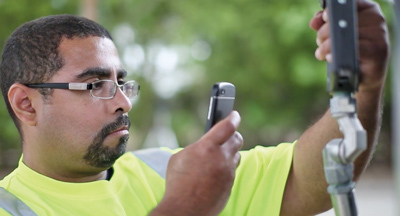 When completing inspection or installation forms, field workers can effortlessly include rich media, such as photos and audio recordings, to help tell a more complete story. This extra level of detail ensures that no critical issues are missed when inspecting, servicing or installing equipment. More sophisticated mobile solutions are equipped with key capabilities that ensure data is captured accurately, such as dropdown menus with pre-populated responses, which can include equipment and site location details, regional contacts and service parts inventory. This dropdown data can be managed and modified from the cloud, so your field workers’ devices always have the most recent asset information. Your field teams may be tasked with inspecting and installing equipment in remote locations, so it’s important that they are able to work offline. Best-in-class mobile solutions let users fill out forms offline and submit them as soon as network connectivity is established. Your field teams are never left searching for a signal, allowing them to quickly move from job to job. GPS and time stamps offer a quick and simple way to verify location and time of completed work. GPS and time stamps can tag form pages, photos and other rich media to confirm that this data was taken on one site and not another. Many pipeline companies find this level of data invaluable for demonstrating compliance to customers and regulatory officials. After data has been captured, it has to be swiftly forwarded to stakeholders for follow-up actions. Instant form submission eliminates delays in getting crucial data to the office. Forms can be pre-configured to automatically route specific data to specific stakeholders and business systems. Storing reports in a back-office or cloud system allows for swift retrieval upon request, ensuring that regulatory, maintenance, service and asset management and operations teams have access to data when they need it. These context-sensitive solutions can automatically trigger a remedial repair workflow if a serious issue is discovered during an inspection. For example, if an inspector submits a form noting that an asset is in need of urgent repair, key team members automatically receive all relevant data about the asset and can even be called to action via SMS notifications or emails. There’s an old adage, “You can’t manage what you don’t track,” and this is where transforming operations with mobility has the most impact. Mobile solutions combined with advanced analytics presents your captured data as visually-rich dashboards, which can be easily shared with whoever needs to see them. You can track the performance and condition of assets to improve uptime and prevent equipment failure or critical incidents. You can also track whether quality assurance and regulatory compliance standards are being followed. This empowers you to maximize equipment uptime and bolster the safety of employees, contractors and the environment. 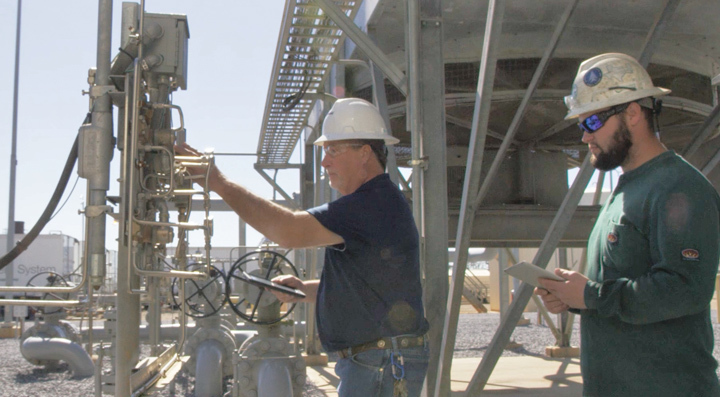 Field teams capture critical asset data whenever they perform asset installations, maintenance, or service, but a reliance on manual processes for data collection makes it difficult to drive effective asset management. One of the largest utilities in the United States is using mobility to improve the entire asset lifecycle — from asset installation, to preventative maintenance, to service and replacement. There are many mobile use cases within this organization, but let’s take a look at two of the most compelling: inspecting gas meters for corrosion and preventing damage to vital infrastructure. 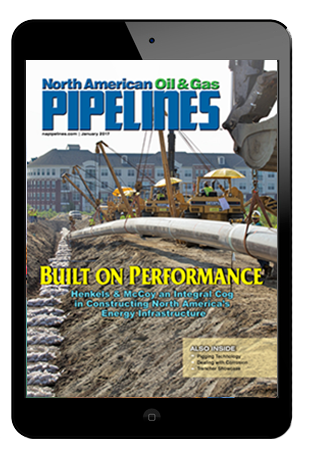 After a major pipeline rupture, the utility sought to mitigate the risk of preventable equipment failure, accidents, liabilities and damages to its corporate brand. They wanted to drive risk-informed asset management by providing employees and contractors with timely, quality data to ensure that work is executed according to company standards. The majority of company data collection processes were paper-based, with records housed in various offices across their 70,000 square-mile service territory. This meant that procedures and processes were inconsistent across districts. Significant investments were made to eliminate disparate and redundant databases, leverage enterprise work management systems and provide field workers with the ability to capture transactions using mobile technology. The mobile workflow solution went live in February 2015 and by August, field teams had inspected 1.2 million gas meters. The decision to go mobile has already resulted in a significant return on investment. In 2015 alone, the company saved more than one million dollars in costs related to atmospheric corrosion. These savings factor in the atmospheric corrosion inspection costs in 2013 and 2014, the downtime of prior systems and the productivity of contractors and employees while performing inspections. The utility is also leveraging the solution to investigate and prevent damage to their gas distribution system caused by construction crews accidentally striking pipes. In 2015, these “dig-ins” were responsible for more than $10 million in damages. Now, mobile forms are used for process audits to evaluate the quality of work performed and whether best practices are being followed. The solution analytics dashboards help identify contractors and developers who have demonstrated a chronic problem breaching the utility’s infrastructure. The dig-in team works with these parties to help ensure best practices are followed to eliminate incidents with future dig-ins. Mark Scott is vice president of marketing at ProntoForms, a mobile forms workflow solutions provider.